Stunning photographs! Makes me want to get married in Ireland! I agree with Laurie. You are a top of the line artist — the angles, the lighting. Simply beautiful! I find your images very inspiring and look forward to seeing more. Beautiful! Love the sleepy ring bearer in the armchair and the couple in shadow framed in the arch. Fantastic imagery … all of them! Dramatic imagery of the cathedral! many thanks to everyone for the kind comments! Love the church photos the most … what a gorgeous church. Ireland is naturally beautiful … and you sure know how to capture that. Thanks, Shane. Don’t you just love the uniquess of us all? Different from all the rest … what I really see is how you captured every single emotion a bride can feel in one day (and there are so, so many emotions). Yup .. you got them all. And, to me, that is the very essence of a phenonemal photographer. Oh how natural Photo 9 is — that was definitely not a posed picture. You captured her joy beautifully. Marvellous series … I too admire how your captured such bold and dramatic shots of the church. Beautifully thought out shots and poses. I love how the entire wedding party is captured and of course the ever-so-amazing look in the groom’s eyes when he’s finally married the girl of his dreams. You have really captured it all. Great work! What a clarity in the pics I had never seen before specially in black and white pics..Great job! 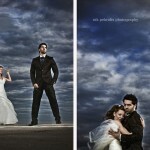 I like pics a lot..
Really Friends it Beautiful Wedding photographer, I Like it. The Lens & Light Honor is awarded to twelve photographers each year who are true leaders in the world of wedding photography. We look for photographers who produce stunning, modern, artistic imagery at the frontier of the field and for photographers who have achieved a rare level of success and recognition among brides, fellow photographers, and others in the wedding industry. We are proud to recognize Jeff Ascough with the Lens & Light Honor. Known the world over for his stunning documentary-style wedding photography and his work as a Canon Ambassador, Jeff Ascough works to elevate wedding photography to an art form. Inspired by Henri Cartier-Bresson and the work of James Nachtwey. Jeff’s unobtrusive approach yields honest, truthful and timeless images that serve as treasured memories for his brides. For Jeff, a wedding is a sacred occasion – and the photographer’s role is to capture the unfolding events quietly, simply, without attracting attention. He challenges himself to create his award-winning wedding images by using available light almost exclusively. He shoots deliberately and carefully, crafting each image with incredible care. For Jeff, every picture should stand out. Every single photograph should be both aesthetically appealing and emotionally evocative. With more than 20 years of wedding photography experience, Jeff has used this documentary storytelling approach to cover more than 1000 wedding assignments. His client roster boasts countless girls-next-door and plenty of celebrities including Kevin Pieterson and Jessica Taylor, Jill Halfpenny and Craig Conway and Radiohead guitarist Ed O’Brien. I was invited to join my parents fledgling photography business back in 1989. I was actually thinking about doing a degree in Psychology prior to that, but I found that photography was really what I wanted to do in life. In short I shoot documentary/street style images on a wedding day. My style is unobtrusive but faithful and true to the people and the events that surround the wedding day. I currently shoot with two Canon EOS 1DMKIV cameras. My favourite lens will always be the 50mm f1.2L but I find myself shooting mainly with the 16-35 f2.8LII these days. It is paramount to my style. With good post processing I can create the image that was in my mind’s eye when I pressed the shutter. For me, capturing the actual image is only the start of making a great picture. I have always been inspired by the great documentary/street photographers of the 21st Century, and I guess I always will be. Cartier-Bresson is the biggest influence on my style, his love of composition and the ‘decisive moment’ are ingrained in my photographic soul. Sebastiao Salgado and his use of light, and the way he has his images printed to bring drama to his pictures are important to me. I also like the way he sees a collection of pictures as being important in telling the story. I enjoy the work of Gary Winogrand, Eugene Richards and James Nachtwey for their use of space and wide-angle lenses—something which I have noticed in my work over the past couple of years. Then there are legends like Don McCullin who continues to inspire and challenge me when it comes to taking pictures, not just at a wedding. 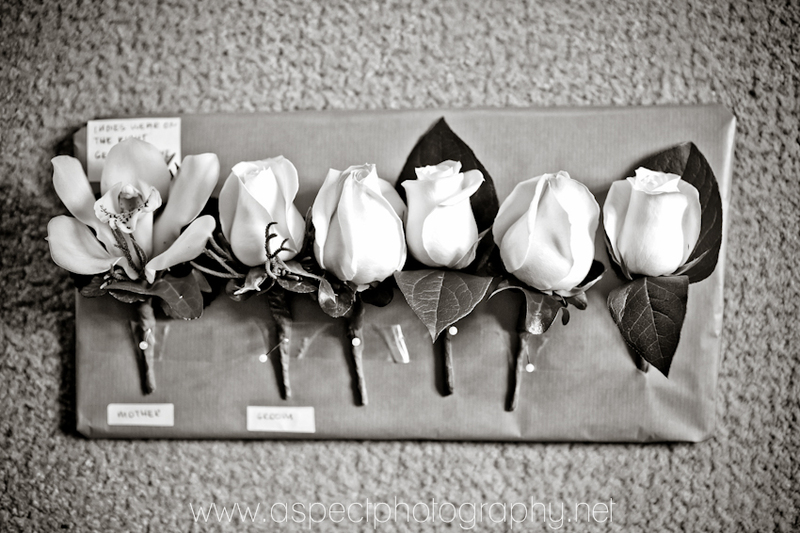 I rarely look at other wedding photography—it just doesn’t interest me at all. For me it is all about trying to improve my work, season on season. I find actually shooting a wedding really easy and comfortable, as I’ve been doing it for so long now, but I always push and challenge myself to get better images. I still practice different shooting techniques away from the wedding, and I continue to train myself to become a better photographer. Honestly. I have no idea. I don’t tend to follow wedding photography. A criminal psychologist. Psychology is my other passion. Great post all round …. 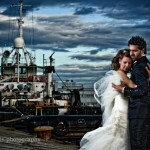 Love Jeffs work and its a great inspiration to us all in the documentary wedding photography field. I love Mr. Ascough’s work, and have for a long time now. Truly inspiring. Absolut fantastic work. I like the photo the couple’s dancing. Amazing shot. I also like the toning. Hello Jeff. Iam Mauro from Brasil. Shots from the hert,worderful your work. I am feeling so inspired. These pictures are so artistic and so very beautiful and it is impressive to me that Mr. Ascough works to shoot almost exclusively by the natural light. I feel inspired to work harder at using natural light sources. Thank you for sharing this wonderful interview. hi Jeffs, real amazing works….lovely! Really beautiful work, particularly the black and white pictures. I like the candid style and the spontaneity of the shots. Hello Jeff, your documentary style work always inspired me. Jeff — I just love your work. I have been following it for years and am so glad to have found you on Best of Wedding Photography. Look forward to seeing more – awesome! These images are so magnificent … and I agree … you are like a magician with the natural light. Jeff you are not one of the best wedding photographers you are the best!!!! THANK YOU FOR THE INSPIRATION !!! Congratulations Jeff. I absolutely love your work. I would like to say that I love your work. I feel very inspired when I look at your shots. They’re amazing! What I like most about Jeff’s work is the impression of quiet and composure. I know how important it is to catch the right moment, and I know how it hurts to loose it. A beginning fotographer must always fight two things: pressure of time and feeling strain – both depending on each other. Jeff’s photos look like he has plenty of time to shoot them, like if it was not Jeff that catches and chases the moment, but the moment itself waiting for Jeff, who went somewhere for a long coffee break until he decides to catch it. I wish one day the time would obey me the same way. Brilliant! Thanks for sharing you approach to wedding for us! You truly are an amazing photographer … forget the top 500 .. you are in the top five! Beautiful and amazing, as usual. Love your work! Just a few words — magnificent and beautiful. Oh, and two more — spectacular and brilliant! Great stuff, I love the use of natural light! Utterly inspiring photography, I love it all. OMG….I love the bride and groom barely visible with the spotlights shining down on them. All of these images are amazing and very inspiring! Inspiring stuff – I see he is just down the road from me too! Really enjoy the black and white! Voce é realmente um artista,cada click seu é uma obra de arte! Very cool photos. I like the vintage touch. Very cool serie. I like the vintage touch. Wonderful story telling photojournalism. The photos are beautiful and I just love the playful shots on the school bus. I really enjoyed this blog posting — the bold and vivid colors! I love how you captured the romance and well as the playfulness — inspiring! I really am enjoying this blog posting. I can’t help but comment on the gorgeous bright colors — they take my breath away. Excellent and fun photos. What a novel idea … using the bus! What a novel idea! Using the old school bus for the engagement story is priceless. Wonderful angles and lots of fun! Certainly enjoyed this engagement shoot — romantic and fun. Really loved the photo of the couple smooching amongst all the gorgeous bright and vivid flowers. Great angle! What love birds … you really captured their emotions and true feelings and added an element of fun and silliness on the bus. The cool thing is that you displayed their wonderful and human emotions and put them right out there! The second last image was my favorite — very natural laughter and happiness. You caught them when they were not looking and managed to produce an image that they will treasure forever. This is by far my favorite engagement series — such natural photos. Wedding season sprung into full force on Sunday in Windsor, CO during Allie & Aaron’s wedding. Well-poised to received our military-discount, Aaron flew back from his Navy duty station in Japan just in time for their island wedding at Pelican Lakes. They both qualify for the long-distance engagement award, as they exuded awesome effort in planning a wedding together… separated only by the Pacific Ocean, a few time zones, and the honorable constraints of the military. Paper cranes, hand-written vows, choreographed dance procession, and vintage-flair adorned their day. I thoroughly enjoyed this blog posting — beautiful, beautiful photography! Thanks for sharing this with us. So elegant, romantic, and beautiful. I’m so glad I found this site. I will be visiting often and watching for more blogs from you. You truly are an inspiration! Such dynamic and bold imagery! Love the lighting and how you captured not only the beauty but also the emotions. Kudos! Gorgeous and amazing photos. Thanks for sharing. All of your photos are gorgeous … my absolute favorite is the magic you created in your first photo. Lovely! Nice … now tell me the truth … did he really wear his navy uniform for the whole weddding? Not a problem if he did — because the photos on the beach were magnificent! My very favorite photo is #6 of the bride and the groom on the beach. Firstly, the colors and background are magnificent. Secondly, you were able to capture a look of mischief and playfulness on the groom’s face … which made him very appealing (I’m sure for the bride). Beautiful wedding photographs. I love how you were able to contrast the color of the bridesmaids’ dresses and the color of the bouquests to the natural outdoor various shades of green. next day shooting in Greece. Your photos make me want to get married all over again. So beautiful and bold. I just discovered this website and love it, especially your work! Nik … these photos are so artistic and beautiful! I can’t get over the blueness of the sky that you portrayed so dynamically. thanks for your kidness…thanks a lot. I have just completed my studies as a photojournalist and came across your work. You are really an inspiration and I am going to try to model my techniques after you. Amazing shots! You really are a true inspiration to the recent grads of photojournalism! Thanks. 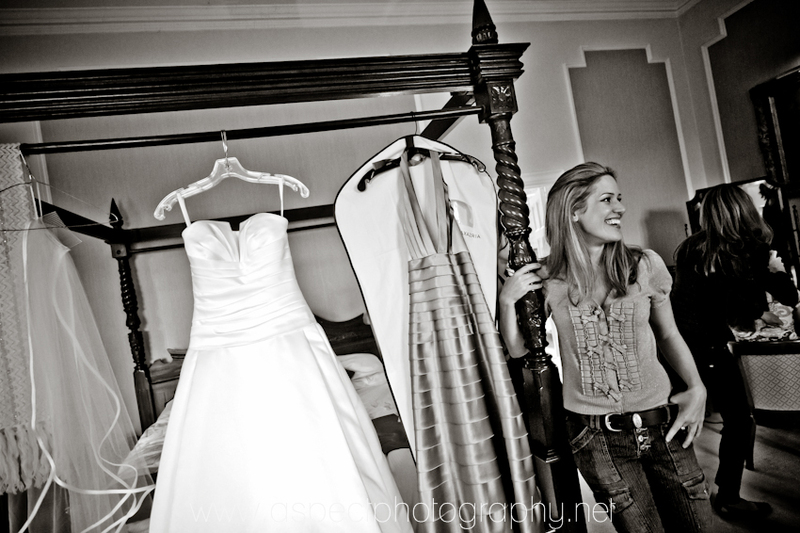 Love the last image … you have managed to make the bride look like an angel. Brilliant! Wow … I am mesmirized by your first photo. I could look at it for hours. Magnificent! Superb … you have managed to portray the bride as an angel. What excellent angles and imagery! Photo 2 is the best — such spectacular colors! Simply outstanding and spectacular!! Thanks for sharing this blog. I can’t get enough of it.